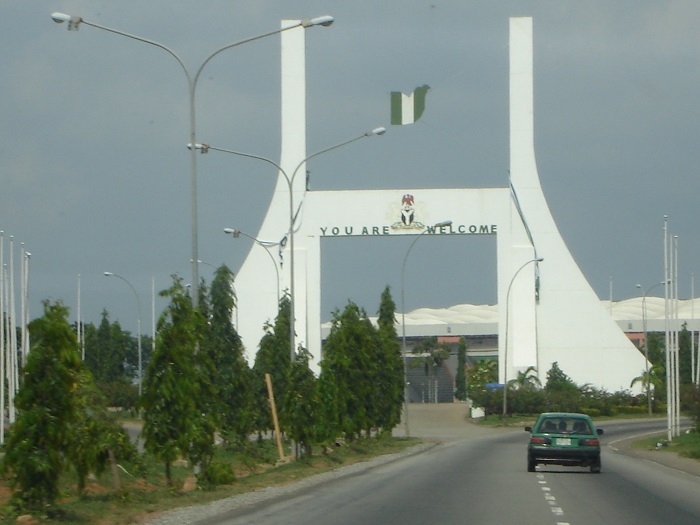 The Abuja City Gate is a monument which is located in the capital city of the Federal Republic of Nigeria, Abuja. Built in order to commemorate the movement of the seat of Federal Government from Lagos to Abuja which occurred in 1991, it was intended to have the purpose of serving as a ceremonial pavilion. 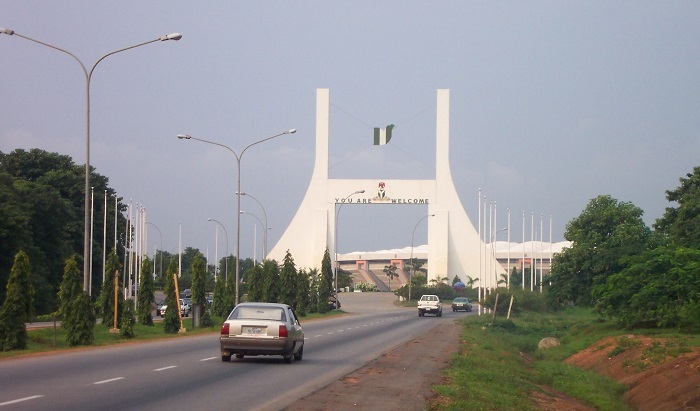 However, not only that, it has a great symbolic meaning as it is a ceremonial entrance to the new capital, and also welcoming sign to all the visitors of Abuja. As there were plans for the gate to be replaced by another gate which would be built some 25 km (16 mi) from the present location, these plans are put on a hold for indefinite time, even though some measures have been taken for the other gate to be built. 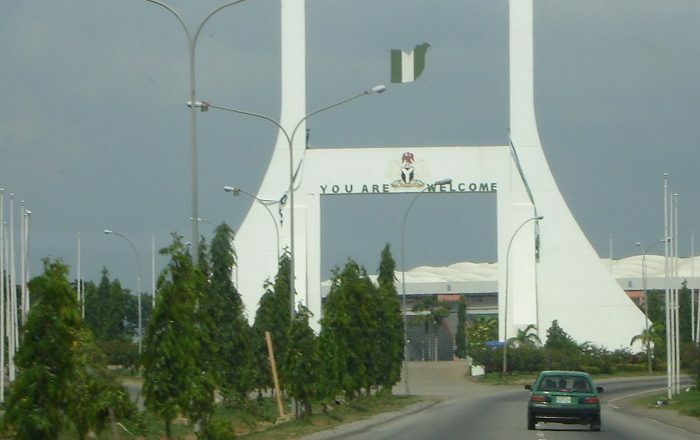 Still, the idea behind the Abuja City Gate is to present it as a sign of the unity of the Nigerian people, together with improvement of the sightseeing for the Abuja’s visitors, city’s beautification etc. The structure has two inverted arched steel-concrete blocks on each side that are connected in the middle with a long steel-concrete block which is blended with the two tower blocks. On that middle block is presented the Coat of Arms of Nigeria and also it is written YOU ARE WELCOME too, since the Government wanted to welcome everyone in the new capital. 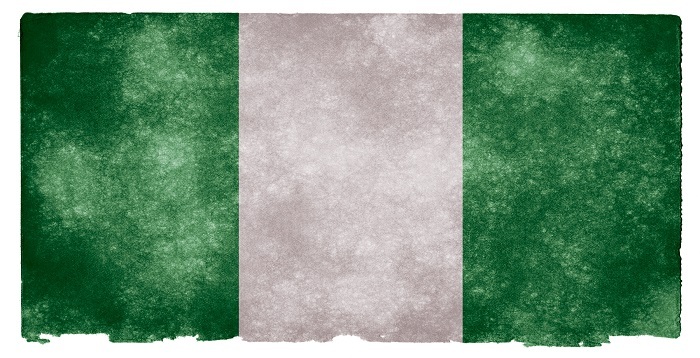 Above this, there is the metal-made waved Nigerian flag which is fixed with steel lines. 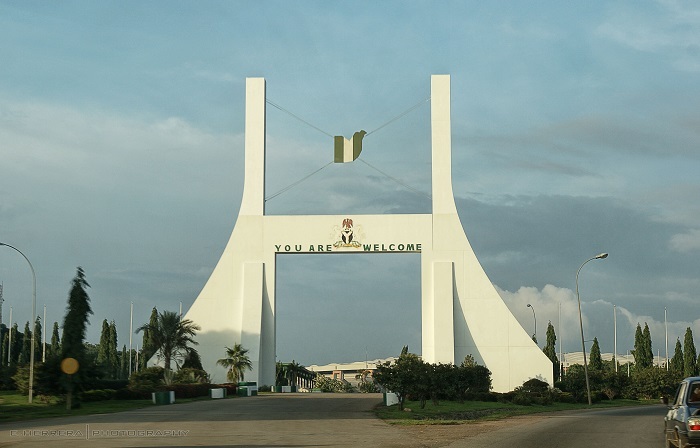 Being one of the interesting and not too big monuments in the new capital of Nigeria, the Abuja City Gate will be remembered for sure if it is going to be moved from its location, as a great welcome sign to all of the visitors to this great city in Africa.